Hero Arts Frame Cuts Dies TEA TIME DI563 at Simon Says STAMP! DI563 This item is on reserve until If you would like to reserve this item now, you may purchase it now with the rest of your order. We will hold your order now and ship your entire order as soon as this item is back into stock. If you would like your order to ship now, please place this item on a separate order. 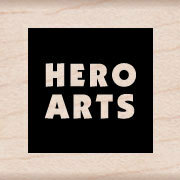 Success, Hero Arts Frame Cuts Dies TEA TIME DI563 has been shared! Life is all about adventures! This is a set created specifically for you to practice landscape painting techniques with your favorite coloring media. A collection of wafer thin etched die sets that match Hero Arts Stamps (sold separately). Universally compatible metal cutting dies make it easy to align around your stamped images.